Colorado’s cannabis sales continue to grow and grow, breaking records and setting the standard for all other cannabis communities. The increased revenue brought in by legal medical and recreational cannabis is one of the most important reasons states should be considering passing legalization laws. These tax dollars have the power to change the face of many cities across the nation, like Detroit, that are quickly deteriorating. Colorado has been the test model for nearly two years, proving exactly what these financial gains can get accomplished. In July, Colorado experienced their largest month of cannabis sales yet, pulling in a whopping $122.7 million. Colorado has become the epitome of what a legalized cannabis market should look like. The funds aren’t being taken by big corporations to fund illicit activities like naysayers once said. Rather, they’re being reinvested in the state’s educational systems, welfare programs, and preservation committees. The cannabis market has single-handedly helped to turn around a once-faulty economy. While many suspected the cannabis market would eventually hit a lull, after the fandom and excitement of recreational legalization died down, the state continues to see a month-to-month increase in both medical and recreational sales. The so-called “pot tourists” might not be flocking to Colorado like they did in 2014, but they’re still coming out in pretty big numbers, and they’re sparing no expense to get the full Colorado experience. In July, dispensaries sold over $122.7 million in legal recreational and medical cannabis. This number is up an astounding 27% since June. 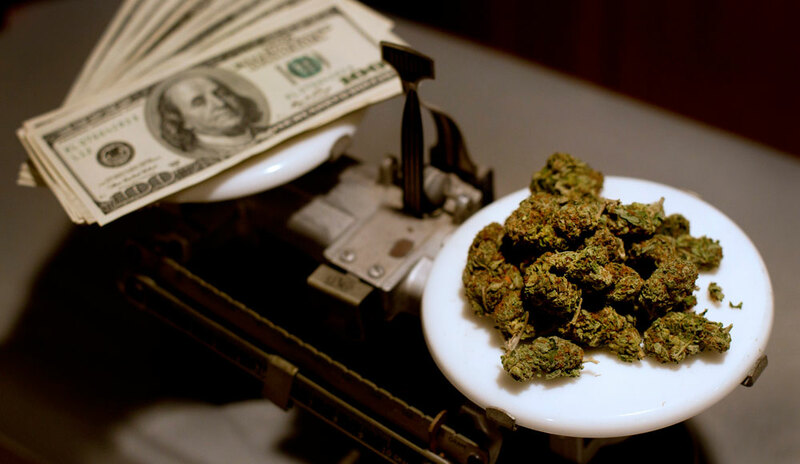 During the month of July, recreational sales skyrocketed to $83.8 million. These record-breaking numbers greatly surpass the previous peak of $117.4 million that occurred during April and the 4/20 holiday. It’s likely the increase in cannabis sales is due to the heightened travel of the summer months. Many people are enjoying vacation over the month of July. It seems this year Colorado was a major relaxation destination, and it’s no secret why. Adam Orens, founding partner of the Marijuana Policy Group and managing director of Denver’s BBC Research and Consulting, knows what attracts the tourists, but he also understands what makes the local community come out and celebrate during the summer months. That’s when I think more people, Colorado residents plus tourists, are just out and about. There are backyard parties, events of all different kinds, concerts, festivals. I believe it drives more people to consume more alcohol and marijuana. Another cause for the rising sales is the ability for tourists to purchase more legal cannabis than before. Previously, visitors to the state were only allowed to purchase a quarter ounce, per person, per day. In June of 2015, this law was changed to allow vacationers the option of buying up to one full ounce, per person, per day. These lifted limits increased sales tremendously. From January to July of 2016, the Colorado cannabis market has raked in $720.4 million in sales. $465 million of that is from recreational sales alone. During the same time span in 2015, medical and recreational cannabis sales in the state were at $538 million. If this record-breaking behavior keeps up, Colorado stands to have its most profitable cannabis year yet. Have you smoked cannabis in Colorado? Share with us on Facebook, Twitter or in the comments below.